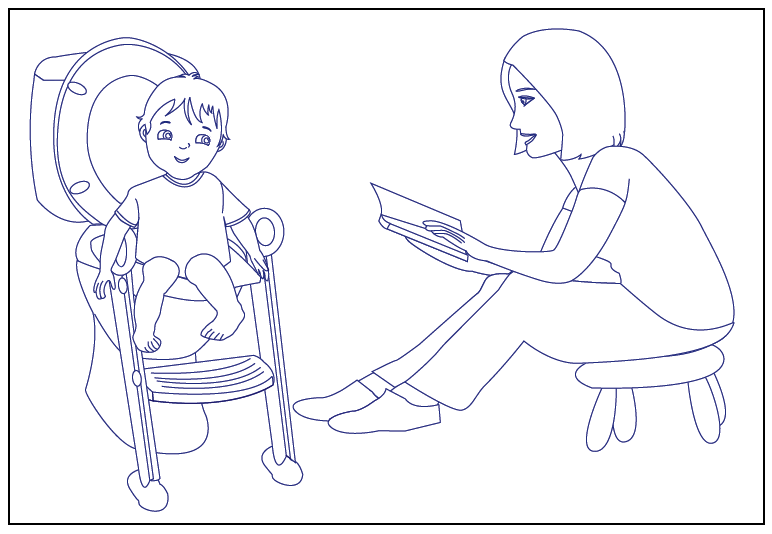 Our site’s original potty training coloring pages feature daily situations that your child can relate to, and they are free of charge. Here you can download these coloring pages to your home computer and print them on your home printer. The pages are back-and-white and available in PDF format. All you need is an Adobe Reader, which you can also get here (see the link further down this page). 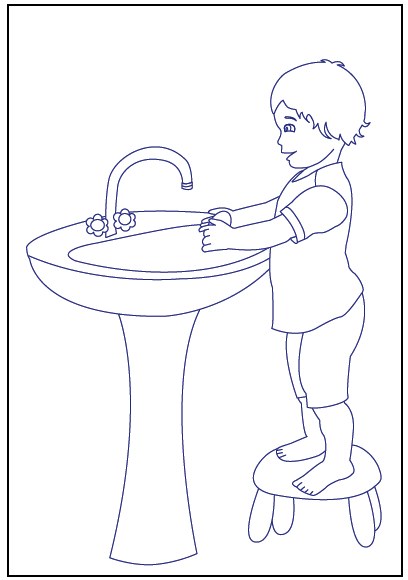 Coloring pages can be a fun way for children to become more engaged in toilet training and relate to actions involved in it. Such as: sitting on the toilet-seat, washing hands, choosing underpants, and even having a potty training accident. 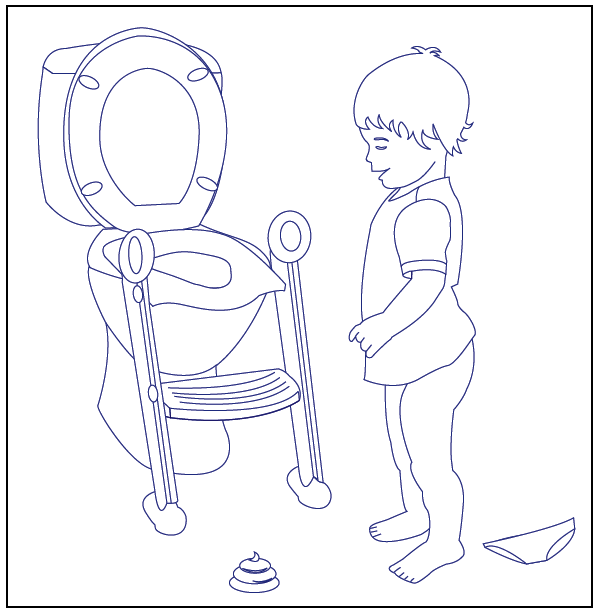 At the moment our collection of potty training coloring pages contains a bunch of drawings, all of which are boys-oriented. We kindly ask you stick with us, while we’re working to create more coloring pages in due time (including some girls-oriented as well). You can get Adobe Reader in this link (note: will open in a new Window). Coloring page (6): "Look mom, I made it!"